When you are hungry you just grab something and munch on it till your body starts supporting you. 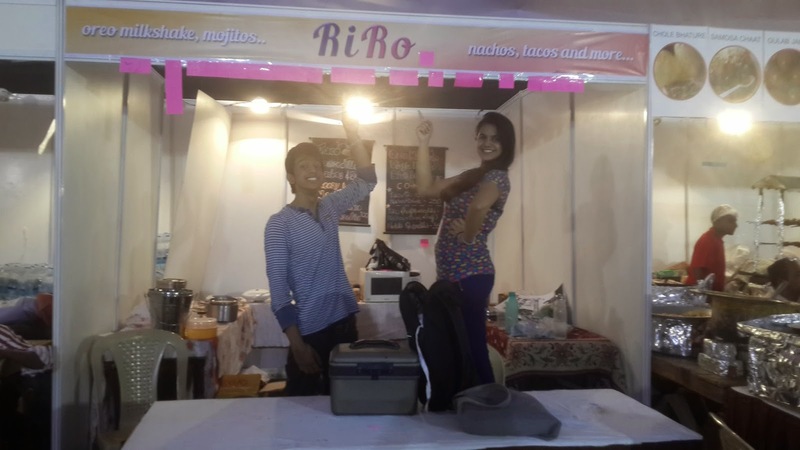 I was exhausted and wanted to visit the food court at the Comic Con and happened to walk over to RiRo stall which was decked up with simple display board and were greeted by two enthusiastic and little younger than usual chefs. A little digging in and guess what they are still in school. Now how could I leave without talking to them? 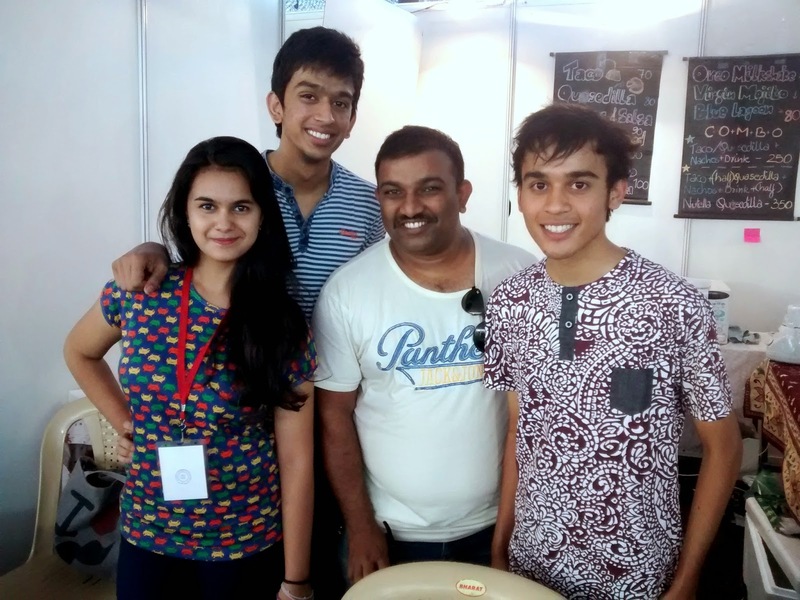 Here is what happened when I met two young entrepreneurs, food enthusiasts – Rishabh and Rohini. Hello Rishabh & Rohini! Nice to see your stall. Tell me about yourself. I am a student, a traveler, ivy league dreamer. Rohini is my classmate and my best friend. Rohini goes on to complete her cupcake and to attend to the walkin customers while we chatted with Rishabh. I was born in Gorakhpur in UP and have lived in Bangalore since my birth. I love travelling all over the world. Normal childhood, love exploring. You are still in school! Which one? I will be for a year more in Bishop Cotton Boys’ School (2001-2015). I am a Cottonian for life. I want to travel the world, explore the unexplored. I also dream of having a private island. Robinson Crusoe type dream (still my dream). I wanted to do something with my best friend so we could spend more time together. I wanted to start earning because I didn’t want to depend so much on my parents as they’re going to pay for my college fee as well. Cooking is a hobby. I’m a IIHM young chef finalist. I saw the ad for food stalls, it clicked in my head and I took the opportunity. It is a combination of my name and my best friend’s name: Ri-Rishabh & Ro- Rohini. Since we wanted to do this together, we put our names together. We’re gonna have a facebook page soon. Quality food, someone to greet them and help them to choose what they want. Someone they can talk to… unrelated to the food. How is the response and what is the best seller? My oreo milkshake, this one guy had it 8 times in one day. And another lady left her stall and came to mine just to tell me that it tastes amazing. With a wide grin, he nods vigorously. Taking each opportunity we get to work with each other and keep doing events which work with our hectic schedules. I live in a joint family of 10 people all of whom are very much into the idea. Work smart! A farmer can work hard to dig a well all day. But if he uses a spoon, he can never be successful despite having hard work, perseverance and determination. 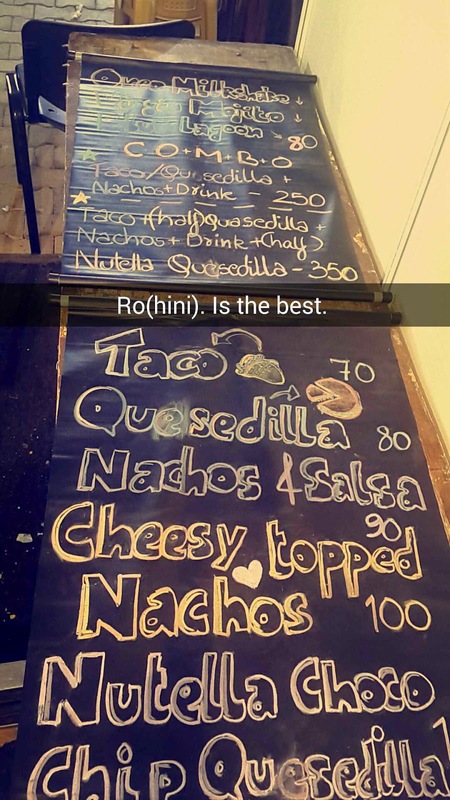 You can reach Rishabh by mailing to rishsingh1996@gmail.com and ask him to set up a food stall at your event!